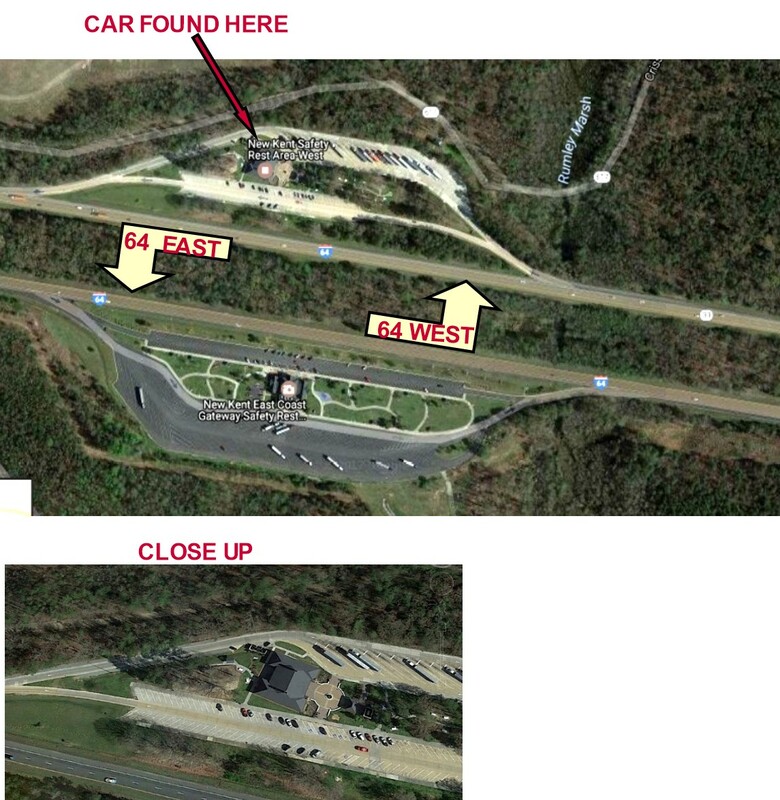 Note: See "Keith Call & Sandra Hailey" Thread for more information - discussions about (1) dogs tracking Sandra's and Keith's scents to a bridge, then circling back to where Keith's car was found. 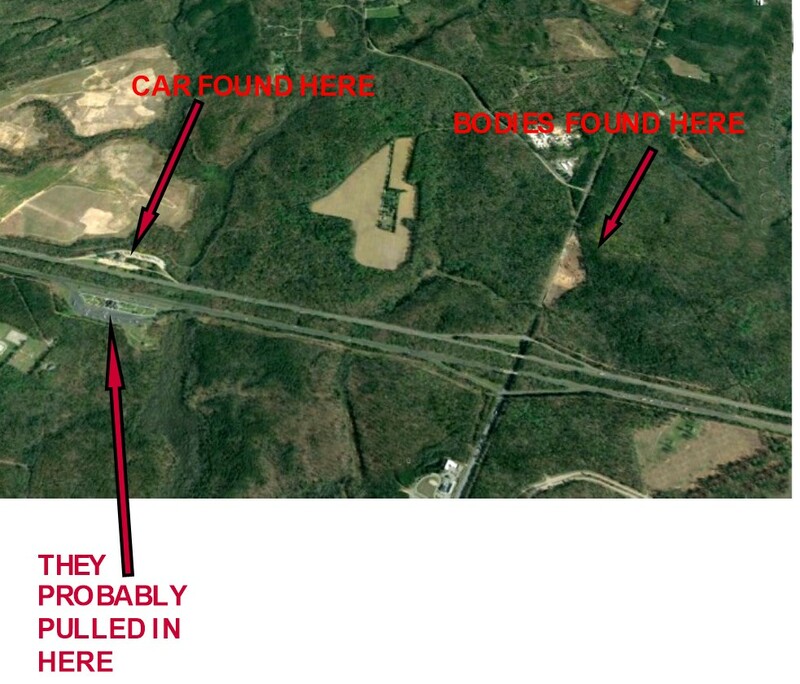 (2) about possibly David Knobling's and Robin's clothing being returned to David's truck after they were murdered. (3) my speculation on this act possibly being the killer's signature. I'm posting this thought here to keep the flow about the clothing detail, but then I'm going to begin a thread for Phelps & Lauer and also post this thought there. Annamaria's locket was found on the ground of the path they supposedly walked through to arrive at their death spot. When I couldn't get the clothes being returned to the cars detail out of my mind, I kept wondering if the killer repeated this act with Anna Maria and Daniel. Then I thought, if the CPK had done that, it would mean he removed their clothing. What if when he did that, while pulling off Annamarie's top, the necklace snagged and came off and was hanging on her blouse. As he walked away with it in his hands, the locket may have slipped through the chain and landed where it was found. That has actually happened to me. I would find an earring or a pendant from my necklace was on the floor and didn't even know it came off my ear or neck, but when I pulled off my top, sweatshirt, etc., it came off with the clothing. Then, walking the clothing to the closet or laundry basket, the jewelry piece fell and I would find it later that day or another day, and would pick it up and wonder how it got there. I'd realize it came off when I removed my shirt. One time, the necklace chain was still entwined in my top, but the pendant fell off. In the case of Annamarie, her locket could have fallen in the same way. I do not know what to think of the locket to be honest. It's possible it came off in a scuffle, or that Anna dropped there as a bread crumb. Equally as possible it was a taunt by the killer. I'm leaning towards the last one but wouldn't be surprised by other scenarios either. 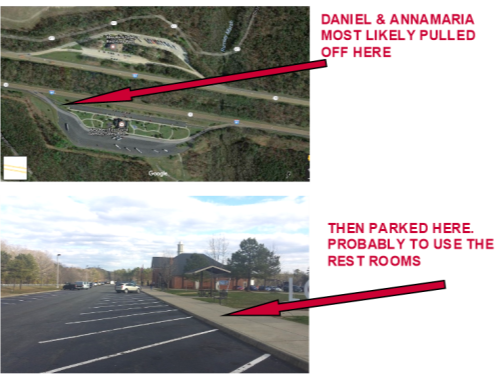 - Daniel & Annamaria took the EXIT where the rest stop was located to use the restrooms. - The CPK was parked at the rest stop. 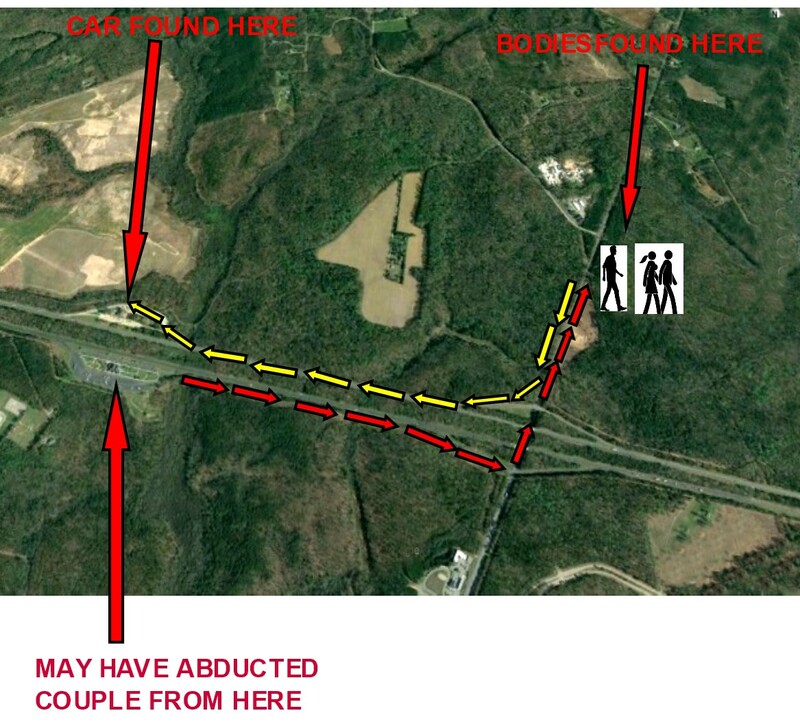 - CPK abducted the couple at the rest stop right at their car. Pointed a gun at them and pushed them into their own car. 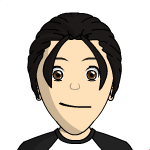 - Drove Daniel's car with the couple in it, or made Daniel continue to drive, straight ahead IN THE DIRECTION THEY FACED, onto I-64 EAST. - Took first EXIT, looped around going under freeway, unto N. Courthouse Road to the logging road. - Got back into Daniel's car, made a U-turn on N.Courthouse Road, heading back toward the freeway. 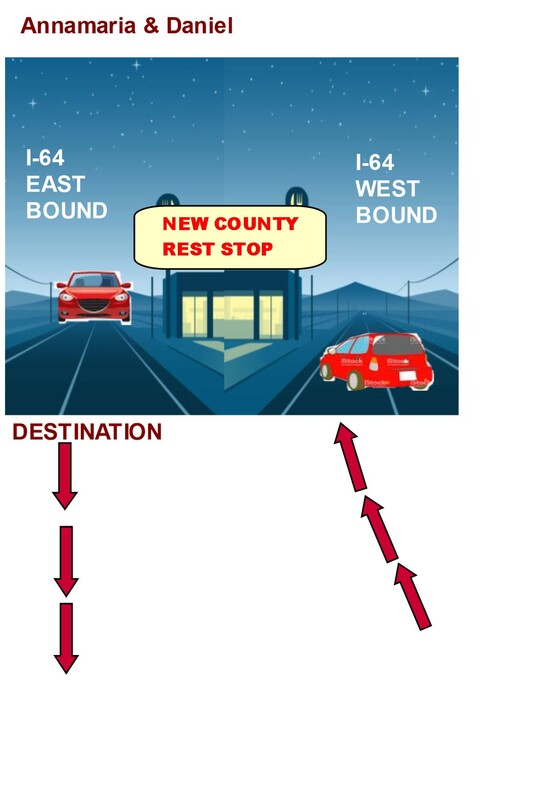 - Drove onto the freeway entrance, onto I-64 WEST. - Took first EXIT, where the rest stop was. NOTE: THIS WOULD BE WHY DANIEL'S CAR WAS FACED EASTBOUND. - Parked Daniel's car in the rear of the rest stop which designated for trucks. 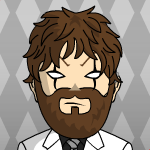 - Jumped out of Daniel's car, hopped back into his car and drove away. In my opinion, it was not a taunt. I believe the killer used the feathered roach clip to lure drug addicts to the car by hanging it on the mirror on the side of the car facing the road. He anticipated a pot-head would spot it, approach the car, see the keys on the driver's seat, and seeing no one around, would jump in the car and drive off. This would contaminate evidence. Waste LE's time hunting down the car thieves - Officer: "Really? You want me to believe you just happened to come by this car with the keys in the ignition? A car which happens to belong to a missing couple?" 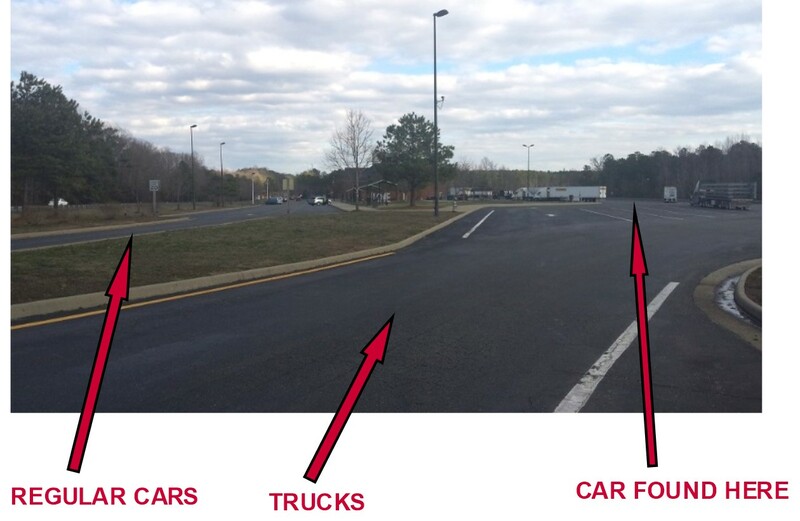 So would it be most likely that he was driving a truck and that he was parked in the truck section? Or was the truck section “hidden” in the back and therefore just a good place to dump a car. Just wondering what the rest stop looked like. Could of come off during a struggle. The clip which was left on the window has always been of interest. He must of knew about this logging road he didn't improvise with this site, he knew it was disused and isolated, how did he have knowledge of this area? Was it due to work or did he explore around this area as a child? Their bodies were discovered by hunters was this a spot he hunted in? There was a NO PARKING sign and the car was half on and half off the sidewalk with the driver's side facing the street, drivers window half down with a feathered roach clip hanging from it and the key in the ignition (or lying on the seat). I was thinking the CPK left the roach clip for pot heads to see, hoping it would lure them to the car to see the door open, keys in it and no one around, and then steal it. I have a question for people who live in Maryland and Virginia. If your vehicle breaks down on the highway and you leave the vehicle either walking or with someone else, is it a common practice to leave something hanging from one of the car windows to indicate it is broke down? It was raining and cold when Carmelita Shomo headed south on Route 234 the night of February 23, 1996. She was driving home to Quantico after her Friday-evening shift as a custodian at the Manassas Mall. Near a crossroads called Independence Hill, she noticed flashing lights in her rear-view mirror. This account of what followed is taken from her March 5, 1996 interview with FBI Special Agent John Zero. Shomo pulled onto the shoulder, and the man parked behind her. As he approached, she thought he might be a friend of her husband and rolled down her window and asked, "Do I know you?" But he was a stranger, and he said he had seen sparks under her car, perhaps from "a loose bolt" or "the CV joints going bad." He said it wouldn't be safe for her to drive, because the brakes might give out. Then he offered to drive her home, and she accepted. He suggested that she hang something from a window of her car to identify it as having broken down. (As was the case with all the women who were told something was wrong with their cars, Shomo later learned that her car was fine.) She hung a rag, locked up, and climbed into the truck.